When I partially tore my Achilles tendon in August it put more than a few things on hold. One was my review of two separate Camelbak products. I had used them both on a couple of occasions but hadn't fully had a chance to test them further. Fortunately, I have healed up, taken both packs out on some runs/hikes and am happy to share my thoughts on both. The Cloudwalker has served me very well for its intended use: to be a no-frills backpack without the extra bulk. I used it as pack when I recently took part in Hood to Coast with some buddies. I found myself during and after the race being a bit of a sherpa for a few of them and it worked very well. Spacious yet slender,, what I really liked about the Cloudwalker was the Air Channel in the back. Along with the comfy shoulder straps, this air channel added an extra layer of breathe-ability helping to kept moisture and heat off of your back. There are no external zippered pockets which might be a little bit of a drawback bu there is a mesh sidepocket on either side of the pack for a bottle or camera or things which need to be more accessible. But since the pack is not necessarily made to be one where you are grabbing and replacing while moving at a high-speed, this is not much of a problem. It comes with a 2 liter Antidote® Reservoir which is ample for any type of adventure you might with to take it on. It is sturdy and hardy without feeling too heavy or starchy. There is no waist belt on this pack which I found to be actually better for hiking. I plan on doing a little more vertical climbing when I am hiking versus running and as such would be bent over more. Not having a waist belt freed up my big gut. This is one solid product, especially for just $80. This is a big boy and I loved it. Coming standard with 3 liter Antidote® Reservoir The Fourteener is ready to do more than I have put it through. With multiple lash points for ice axes, trekking poles or other gear this is a pack meant to go hard. Even better than the Air Channel back of the Cloud Walker above is NV™ Back Panel which actually separates the entire back from your pack with elevated or raised panels. There is a waist belt on this pack as it is obvious it is meant to carry more than just a few items. The belt helps distribute the weight of the entire pack evenly. I used it when doing some light hiking at a recent race where I went to spectate up around Mount St. Helens where I deftly was able to scamper along some trail and rocks wit ha litany of items in my pack. I didn't have any poles so I am not sure how they work with this pack but I have no doubt to believe they would work well too. Because it comes with a separate zippered opening, the reservoir can be easily refilled without removing it from the pack. 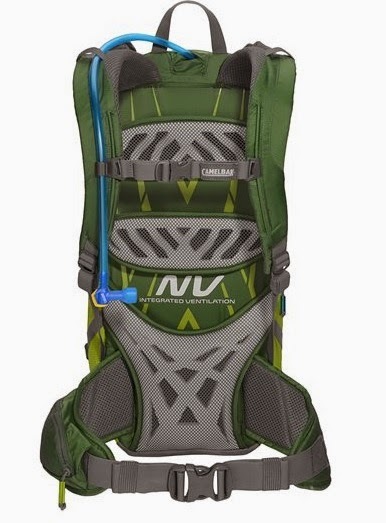 Again, like with the Cloud Walker this is not necessarily a pack you will be using for speed running through the Grand Canyon but not having to shuffle everything around to get to your bladder is a nice touch. The side compression straps helped keep the entire load stabilized which was extremely appreciated even though I wasn't ever packing it to full capacity. Also there are a coupe of external zippered pockets to allow you to throw items in which you might need to take in and out more often. 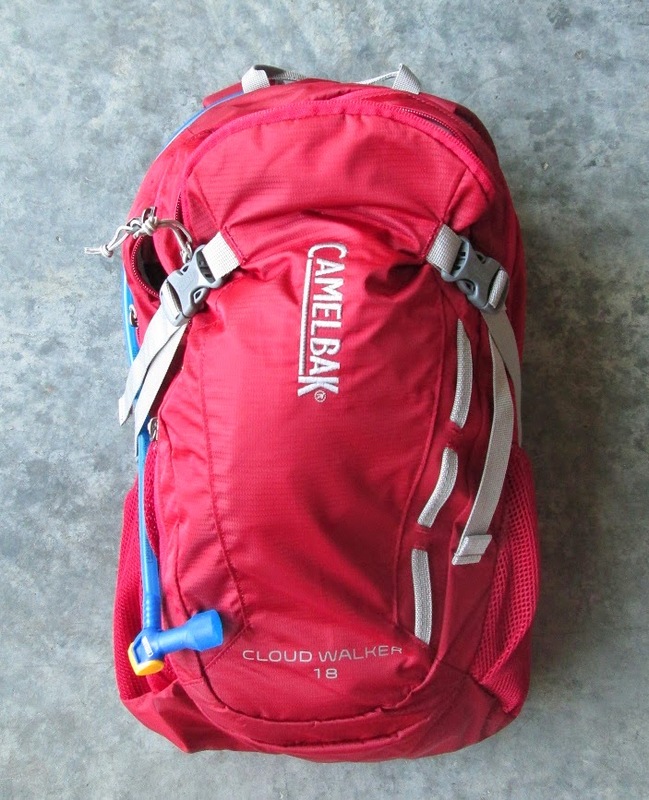 As it comes with a few more bells and whistles than the Cloud Walker it has a higher price tag at $145 but I think anyone who uses the pack would say that is well within its worth.